A comprehensive and up-to-date investigation of one of the deadliest toxins and its impact on ecological and human health. 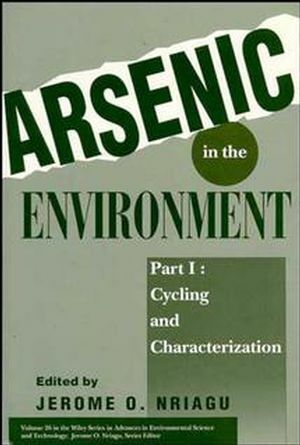 Part one contains a thorough treatment of the chemical nature of arsenic, its environmental behavior and its measurement through contemporary analytical methods. Part two deals with the latest findings from a wide range of international research groups into the repercussions of arsenic exposures on human health and the ecosystem. 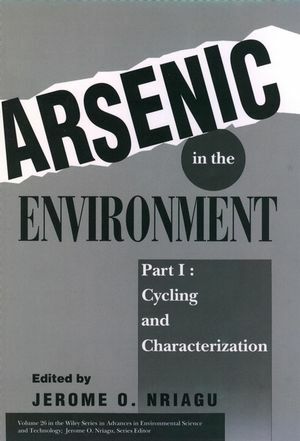 Arsenic: Historical Perspectives (J. Azcue & J. Nriagu). Arsenic Distribution in Soils (H. Yan-Chu). Arsenic Mobilization and Bioavailability in Soils (D. Bhumbla &R. Keefer). Mobilization of Arsenic in Contaminated River Waters (W. Mok &C. Wai). Removal of Arsenic in Drinking Water Treatment (M. Jekel). Biotransformation of Arsenic in the Freshwater Environment (S.Maeda). The Chemical Forms of Arsenic in Aquatic Organisms and TheirInterrelationships (D. Phillips). Arsenic in Several Chinese Estuaries and Coastal Seas (L. Xiankun,et al.). Arsenic in Vegetation of Wetlands (M. Otte & W. Ernst). Arsenic Minerals Formed at Low Temperatures (F.Schaufelberger).